Alexander Burnett Hellmrich/Helmrich, was born on the 16th January 1850 in Paddington., New South Wales to his Scottish parents. Alexander was one of six children born to John Helmrich and Margaret Mathieson, bounty assisted immigrants from Scotland. Paddington today is a comfortable, affluent area of the inner city suburb of Sydney. Alexander remained living within the same inner city suburb of Sydney throughout his life. 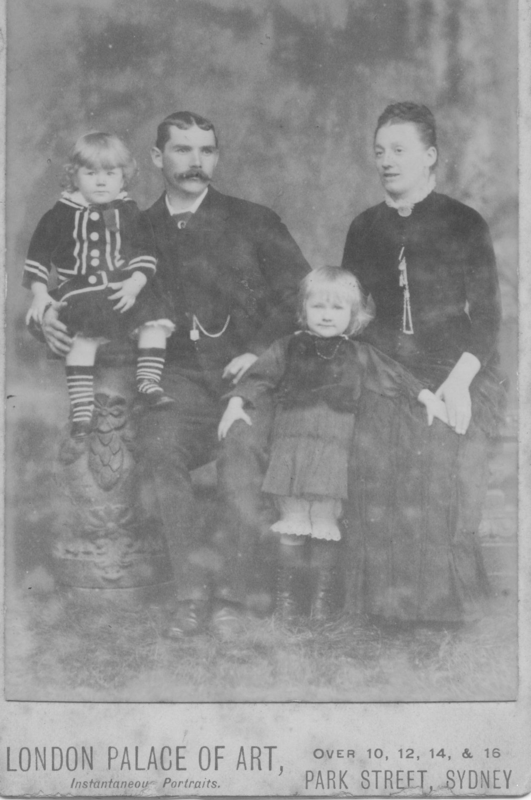 Siblings: Alexander’s siblings were John Lambertus Hellmrich (1837-1909), George Donaldson Hellmrich (1841-1881) , Margaret Hellmrich, Charles Hellmrich and Mary Hellmrich. In 1871, Twenty one year old Alexander was a Volunteer with the Volunteer Armed Forces in Sydney and won a prize. He was mentioned in the papers. Private A.B. Helmrich in the Volunteer Armed Forces Sydney Morning Herald. Rifle Association Annual Prize Meeting./Sydney, Australia. No doubt his family were proud as punch to have this appear in the paper. 24th January 1877, Alexander was listed on the manifest as a passenger on the City of Melbourne vessel sailing from Melbourne to Sydney/Sydney, New South Wales. It’s possible that this might have been the time he met Florence? She being from Melbourne in Victoria. Alexander and Florence were to marry on the 27th February 1879, The Herald Sun Newspaper reports that she was a young lady from Melbourne. 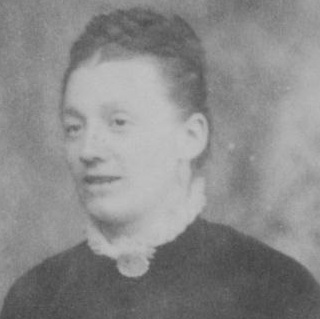 Florence Macgill Glendinning Gay was the daughter of Captain. William Gay of Middlesex in England and Eliza Brereton Howard of Barbados. She was born in St Michael’s, Barbados. Alexander would go on to enjoy reasonable success in business and he and Florence would own several properties. He was known to be an expert in the sugar industry. Family lore from several sources confirm that they were quite financially well off. They lived at their home “Cooma” at 15 Point Piper Road for many years. Eventually its name was changed to Jersey Road. I visited Jersey Road in 2014. It is a very old yet gracefully kept street in the high-end real estate sector of Sydney. Cooma is a white brick terrace house that I understand sold in the early 21st century for just over 1.25 million. It has 3 bedrooms and 2 bathrooms. At the time that the Helmrich family were living in Woolhara it was considered a pleasant suburb that was reasonably close (4 kilometres) from Sydney CBD. Convenient for Alexander as it was in Sydney central that he was employed. Florence herself had lived a fascinating early life. Her father has been a sea-captain, Captain Gay. At the time that she married Alexander, her family were quite comfortable people from Melbourne. Florence had been born in 1854 in Fontabelle, Bridetown, Barbados, Caribbean Islands to Captain William Gay and Eliza Brereton Howard. It was only later in her youth that her father and mother had moved to Australia. Whilst financially Alexander and Florence may have lived a trouble-free existence they suffered extreme loss in their personal lives and undoubtedly these caused the family a great deal of heartache through their marriage. How much these losses contributed to the tragedy that eventuated at Cooma one can only imagine. Of their six children, who were all born in the home only three survived to grow beyond childhood. Three of their sons died in the home whilst young children. First Herbert aged just 3 in 1887, followed by Frederick aged 5 in 1897, and Henry aged 8 in 1890. To date I am unsure of why these three boys died but given their young ages can’t help but ponder did they fall to illnesses or something genetically inherited or some other reasons of which I do not yet know? The following notices were put in the newspaper by the family. Sydney Morning Herald, 17th December 1887. HELMRICH.-At his residence, Point Piper-Road, Woollahra, on the 12th December, Herbert Charles, the beloved son of A. Helmrich, aged 3 years and 6 months. In 1887 Sands Directory records show Alexander and Florence living at their home “Cooma” at Point Piper Road. Alexander’s occupation is given as a Clerk. HELMRICH.—December 19, at the residence of his parents, Point Piper-road, Woollahra, Henry Albert, dearly loved son of A. and F. Helmrich, aged 8 years and 9 months. A mere seven years later and their son Frederick aged 5 dies in 1897. Alexander and the family remained true to their Scottish origins. In 1871 he was on the committee of the Grand Highland Volunteers and was engaged in arranging the Easter Monday Picnic at Cremorne. GRAND HIGHLAND VOLUNTEER PICNIC AT CREMORNE, on EASTER MONDAY, 10th April. 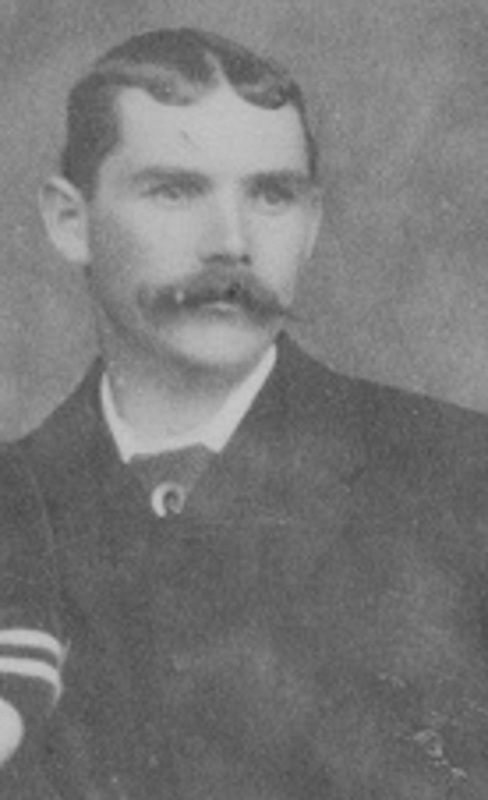 Within a few years a further tragedy befell the family when Alexander took his own life at Cooma. The story made news across Australia and appeared in several papers as far afield as Western Australia. 21st July 1906 – The Advertiser Adelaide. A resident of Jersey-road, Woollahra, Alexander Burnett Helmrich, was found dead in bed this morning by his wife with his throat cut. The deceased, who was 56 years of age, was a sugar expert. He broke one of his legs last April, and had been laid up ever since. Lately Helmrich had become despondent at being confined to his home for so long a period. 21st July 1906 – The Sydney Morning Herald. DEATH OF A PADDINGTON RESIDENT. 21 July 1901 – The Kalgoorlie Miner. NEW SOUTH WALES, Alexander Burnett Helmrich, a resident of Woolahra was found dead in bed this morning by his wife with his throat cut. The deceased, who was 50 years of age, was a sugar expert. He broke one of his legs last April, and lately he became despondent at being confined to his home for so long. 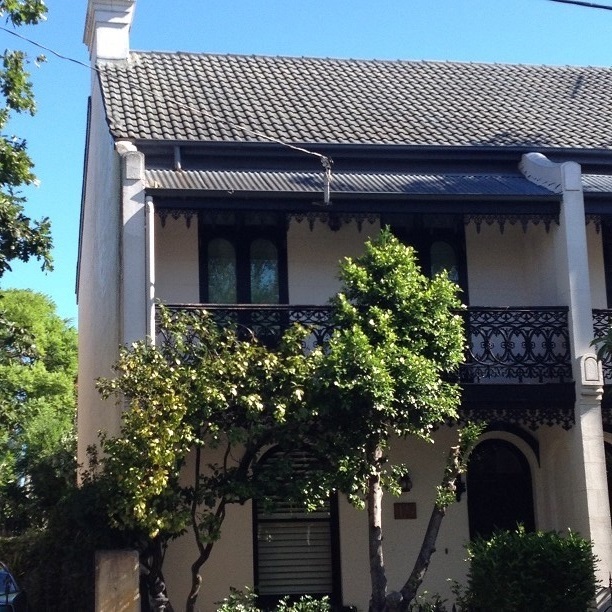 Alexander Burnett Helmrich was found dead in his bed at his residence, Jersey road, Woollahra. He had cut his throat with a razor. Helmrich who was an elderly man, sustained a fractured leg in April last, and had been confined to his room since. He had become somewhat despondent. For many years Helmrich was connected with the firm of Harris, Harris, and Ackman, and was possessed of considerable property. * Harris & Ackman was a well known Auctioneers business in Sydney. HELMRICH.— July 20, 1906, at his residence, 15 Jersey Road, Woollahra, Alexander Burnett Helmrich aged 56 years. By request, no flowers. By the time Alexander took his own life both of Florence’s parents have died and she had buried three of her own children. Her her remaining children were young adults. Her youngest Arthur an impressionable 18 and I wonder as to Florence’s own mental state and how she coped with the many tragic losses in her life? Alexander’s death was extremely violent by its nature. I’m assuming because of Alexander’s business dealings that Florence had sufficient finances to manage the years ahead? Florence went onto live to the age of 72. She died on the 19th February 1927 at Waverley. Her administrators were her three surviving children. Florence is buried with her husband. Florence Alexandra Hellmrich was born at Cooma in 1886 and d.1977. She would outlive her brothers by several years. In 1913 Florence married Eric Keith Noake in 1913 at All Hallows Church in Five Dock, Sydney. They would have a short marriage, just six years before Eric died. Sadly Florence also outlived by some years her two sons. Errol Westland Noake who died aged 29, when she was 60 and Keith Alexander Noake who died aged 52, when she was 82. Florence lived till 90 years of age. She resided in her last years at the now removed Kia-Ora convalescent home in Randwick. Keith married Margaret Elizabeth Prentice. Of interest, (because we appear to have quite a few of them in the Hellmrich line) Keith was a professional musician). Keith was a celebrated organist, notably his last position before he died being the chief organist at Newcastle Cathedral. Click here, Keith Noake including picture. I saw your request on Ancestry.co.uk re information about Charles Hellmrich (born c1775 in Germany) and married to Elspeth Symmers. I am also a descendant of Charles Hellmrich, through his fifth child, Charles Fredrick Hellmrich (c1814 -1880). Charles Fredrick was my great great grandfather. I live in Sydney as my father, Peter Helmrich, migrated to Sydney from Aberdeen in 1953. I see on my family tree that you descend from his older brother John, who migrated to Australia in 1838 and was a stonemason. I have his information and his children, and then grandchildren, but no further along your line. We have no information about Charles Hellmrich’s origins, except Germany. One old family tree says that an Aberdeen librarian said he was possibly from Bavaria or Gdansk. (a bit odd – Bavaria being in the south and Gdansk – Danzig – being in the north in Poland – which would have been Prussia back then). Your information about him being from Bayern is interesting, also that his father-in-law was also from Bayern. I had not given a thought to Elspet, assuming that she was Scottish as they married in Aberdeenshire. What more do you know about her? I would be very interested in knowing. We are thinking of going to Germany this year on our way to London where our son lives, and thought to see where the original Hellmrich came from would be fantastic. I hope to hear from you, Darienne. Regards, Fiona Moore (nee Helmrich) – the second ‘l’ was dropped when my great grandparents married in 1886 – although I do realise that correct spelling was not their thing back then! Absolutely Fiona, I will track through my stuff to get you as much as I’ve got and will be in touch! cheers.